For use with all Wireless Series trolling motors. 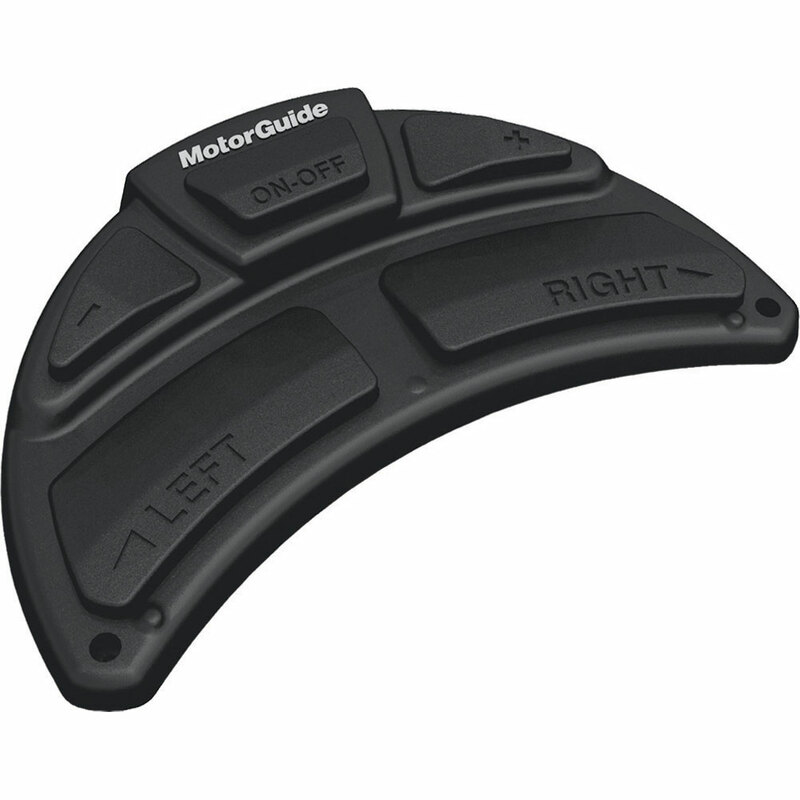 Wireless freedom is what MotorGuide's exclusive high-frequency Wireless Foot Pedal is all about. It's the easiest-to-use, most functional foot-control device ever designed for a trolling motor. On/off, right/left and faster/slower wireless motor commands make it a cinch to master for novice and expert alike. You now have simple, fast, and precise wireless boat positioning from anywhere on the deck with a low-profile foot pedal. Use it sitting or standing.